This Tuscan Chicken Pasta recipe is one you will want to add on your to make list again and again. The last couple of weeks have been rough around here — if I am honest, the last month has been rough. My mother in law has been in and out of the hospital and when that happens, life gets super busy for me. I run back and forth visting her, cleaning my home, taking care of everything — and honestly by the end of the day I am wiped out. 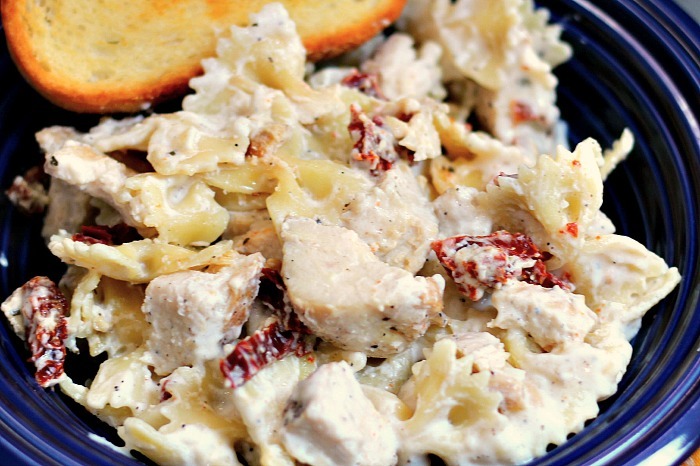 When that happens, I am thankful for meals like this one — my Tuscan Chicken Pasta dish. It comes together so quick and is super easy to make. This is one of those dishes you come across when you are working on cleaning out the pantry and refrigerator. It’s kind of like a throw together meal — and happens all in the span of 20 minutes. To make this dish, I roasted off two chicken breasts earlier in the day. I season 2 whole boneless skinless chicken breasts with Salt, pepper, and garlic powder. I sear them in an iron skillet on both sides and then put in a 350 degreee oven for about 15 minutes — or until juices run clear and the themometer reads 160. 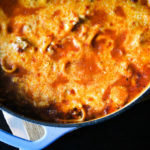 Then I make the sauce, cook the noodles, and put everything together in my big skillet for the perfect comfort food meal. It’s quick and easy. The added sun dried tomatoes really kicks the flavor of this pasta dish up about 10 notches. It is superb! This one is a definite 5 star dish according to my family. 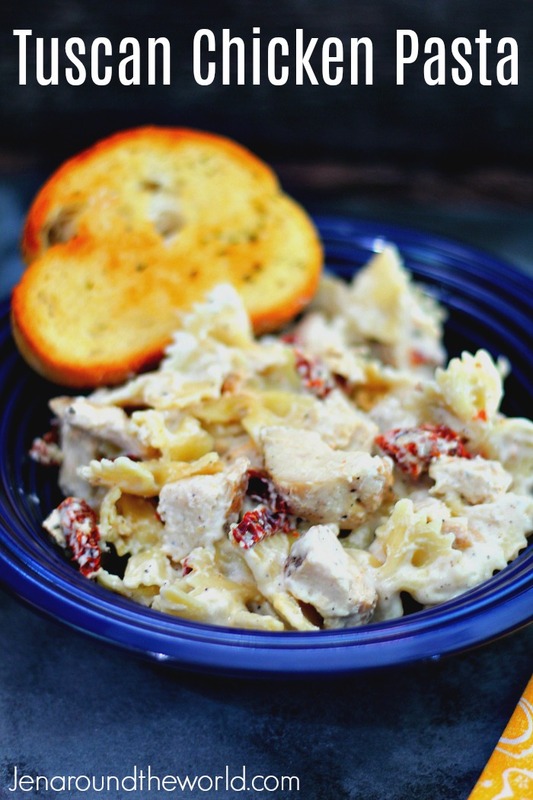 This recipe for Tuscan Chicken Pasta is super quick and easy to make. If you want dinner on the table in 20 minutes or less -- this is it! Season chicken breasts with salt, pepper and garlic powder. Sear on both sides in cast iron skillet and then place in the oven at 350 degrees and bake for about 15 minutes or until juices run clear and temp reaches 160 degrees. Remove from oven and let rest. In a medium skillet, melt the butter over medium heat. Add the garlic and cook for about 2 minutes, stirring the whole time to make sure it does not stick and burn. Add the cream cheese, stirring with a whisk until the mixture is smooth. Don't worry if it looks weird at first. It might look curdled, but just continue to whisk and it will come together and get super creamy. Stir in the sun-dried tomatoes. Keep cooking over medium heat and add the milk and whisk quickly and constantly until it is blended into the sauce. Stir in the Parmesan cheese, pepper and salt. Cook over medium heat, stirring until the cheese is melted and the sauce is the desired consistency, 5-10 minutes. While sauce is coming together, boil your noodles according to package directions and cube up your cooked chicken breasts. Set those aside. Add the chicken into the sauce and mix together (or you can leave the chicken out altogether). Serve over top of bow tie pasta and top with extra shredded Parmesan Cheese. 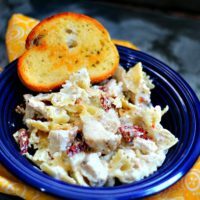 This Tuscan Chicken Pasta dish is definitely one of those meals you want to make when you need something quick and comforting. What is your favorite comfort food meal? That looks so good! This is the perfect dish for summer. I can’t wait to try it. Wow, that sounds delicious. I think my whole family would love this yummy meal. Oh my goodness, this looks soooo good. Can’t wait to give this recipe a try. I was just thinking that I needed to make something tasty for dinner – this looks amazing! The perfect summer dish. Oh this is my kinda pasta salad! I’m such a sucker for anything that has sundried tomatoes – I will gobble it up in 2 seconds flat! I have so much chicken on hand and am always looking for ways to enjoy it! Looks fabulous! This pasta looks really good. My daughters love pasta, so I’ll have to give this one a try. Pasta is always one of our favorites. That looks and sounds super tasty. My mouth is drooling! Man I miss pasta, my low carb does not allow for it but if it did I so would make this! This looks amazing and I love sun-dried tomatoes in everything! 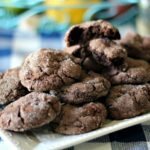 This is just a delicious recipe. I’d love to recreate this for Sunday suppers! 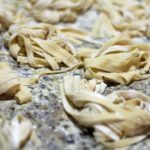 I love pasta recipes. I will have to try this . 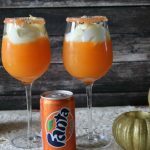 This looks super easy to make! I think my family would love this. YUM! This looks absolutely to die for! This would make the perfect summer dish! This is my all time favorite pasta dish. I can’t wait to try to make it. My favorite comfort food has to be any type of pasta. 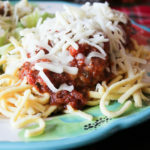 I will definitely be trying this recipe very soon because I love a bold Tuscan flavor. This looks really good! 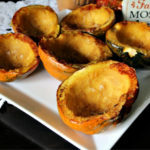 Such a great dinner idea for weeknights! That looks truly delicious! I love Sun-Dried Tomatoes. 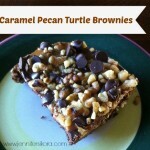 I’d love to add this to my recipe list to make for the family, it would be a huge hit! What a great idea! Love this. I’m sure this is incredibly delicious! Wonderful combination of ingredients. yessss! This is the perfect recipe for me. Creamy Tuscan goodness. 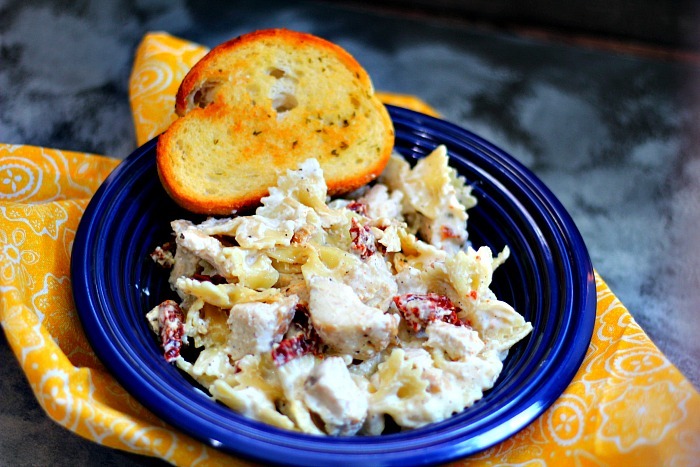 Love me a good chicken and pasta recipe! Love how quick and easy this is to make! It’s perfect for a busy weeknight dinner!